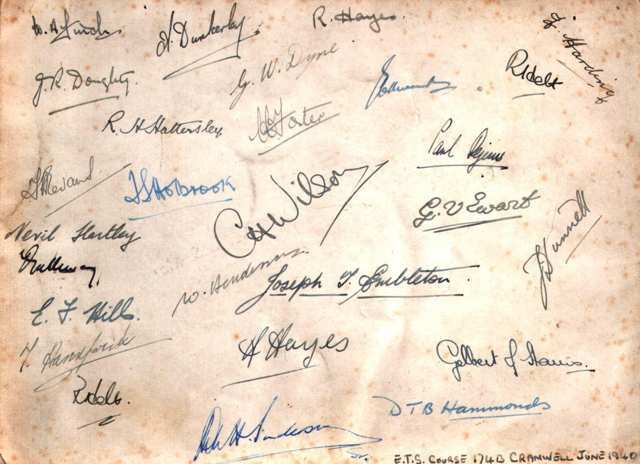 Signatures of ETS Course 174B at RAFC Cranwell who were photographed in Jun 1940. This photograph appears with kind permission of Charmaine Finch. Her father, Douglas Arthur Finch is on the top row, third from the right.